The Six Panel InstaCube Saliva Drug Test is an advanced model of the increasingly popular oral drug testing kit. 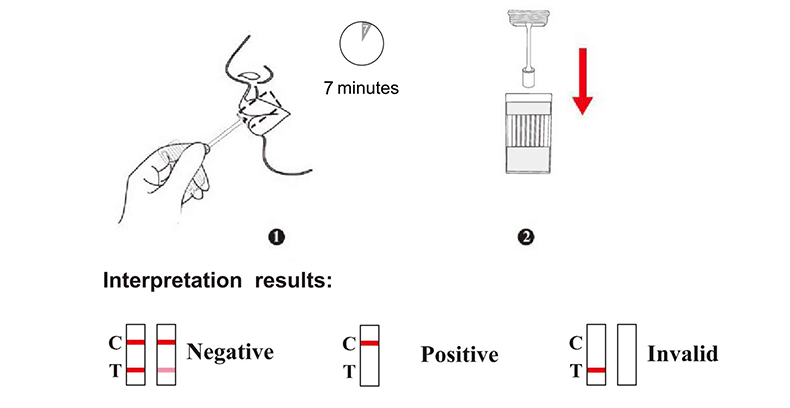 Collecting the sample takes less than 4 minutes, and results are provided in 5 minutes. The ease of use, accuracy, and clean collection method, have made this test a favorite with professionals. The 6 panel design offers you the ability to test for 6 drugs of abuse at once, therefore saving you the money you would otherwise spend on single panel testing supplies. Order your 6 panel InstaCube drug test today to take advantage of great 2017 offers.